Built-in controls on the back of your hand – so you don&apos;t even need your phone! Gloves compatible with mobile phones – one machine 2-in-1! The latest Bluetooth and gloves are the perfect complement to any winter collection. An added bonus is the ability to answer all calls and use your device screen anywhere without wearing gloves. 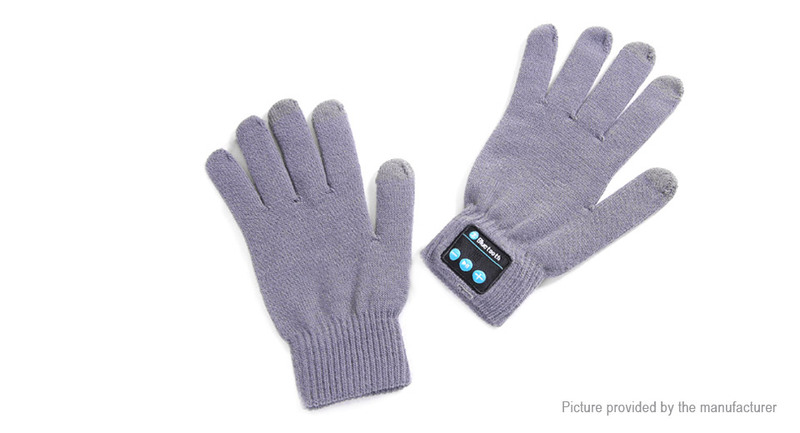 This pair of Bluetooth gloves provides a fun and cool way to make and receive calls. The glove has a built-in microphone, and the speaker is sewn to the thumb glove, allowing you to talk to you like a mobile phone. No need to remove your phone wherever you are! This is a two-in-one product with a pair of gloves and a Bluetooth headset. Note: This product has only one glove using the Bluetooth module.